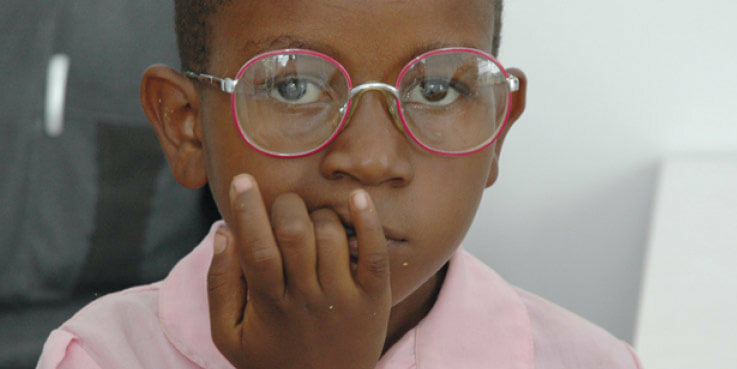 Specsavers and Vision Aid Overseas’ joint commitment to providing eyecare for all living in Zambia is making good progress. Previously there had been very limited provision for the one in four Zambians who desperately require it, with just a handful of qualified optometrists serving the 12m. population. As part of its ongoing fundraising for the charity, Specsavers has to date channeled more than £300,000 into the Zambian partnership. Last winter saw the official opening of the country’s first optometry training centre by Dame Mary Perkins, Vision Aid Overseas’ Ambassador for Zambia. The Chainama College in the capital city of Lusaka is a clinical facility where students gain valuable experience working with patients. Some 24 are currently training to become fully qualified optometrists. Specsavers has set a target to fund vision centres in the country’s eight further provinces. Three of these are now complete with the Southern and Luapula Provinces served by facilities within existing hospitals and Central Province served by a new vision centre in Kabwe and an associated mobile clinic.